Hi friends! The bulletin boards are finally starting to come together. The rest of the room is still a complete disaster, but at least the boards are looking up! :) Here's my progress from the fourth day of decorating. How gorgeous is Teaching with a Mountain View's chart?? When I found it on Pinterest I knew I had to recreate it. All of your bulletin boards look great and I love your color scheme. Can't wait to get into my new classroom and begin decorating. Your boards look amazing. How many days does the school give you to set up? WOW! It looks great! You should feel so good! Love the black and white evidence posters!! Any way you'd post these is your TPT store?? What did you do to create the border in between your comprehension, vocabulary and grammar posters? Do you share your anchor charts? I honestly love every part of your class/teaching/routine!! I am going on my 3rd year in 5th grade and have been trying to get where I want to be. I love every part of you classroom and teaching. 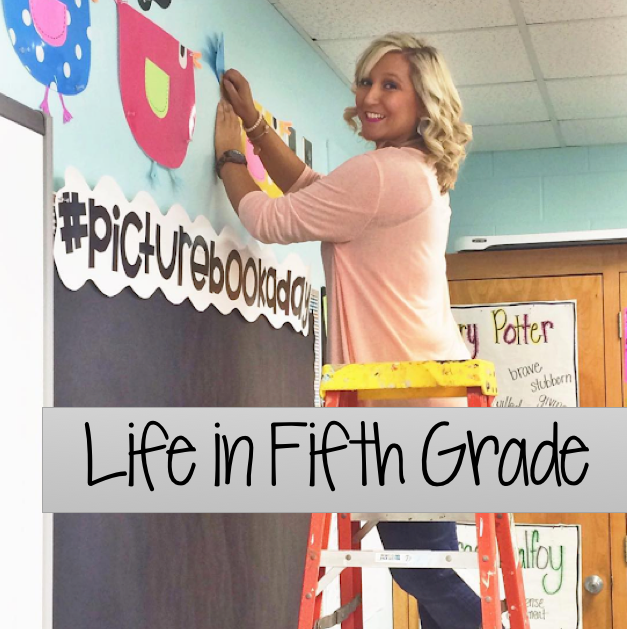 I am going on my 3rd year in 5th grade, and I am trying to fix my day and classroom to where I want it to be. Do you share your anchor charts?